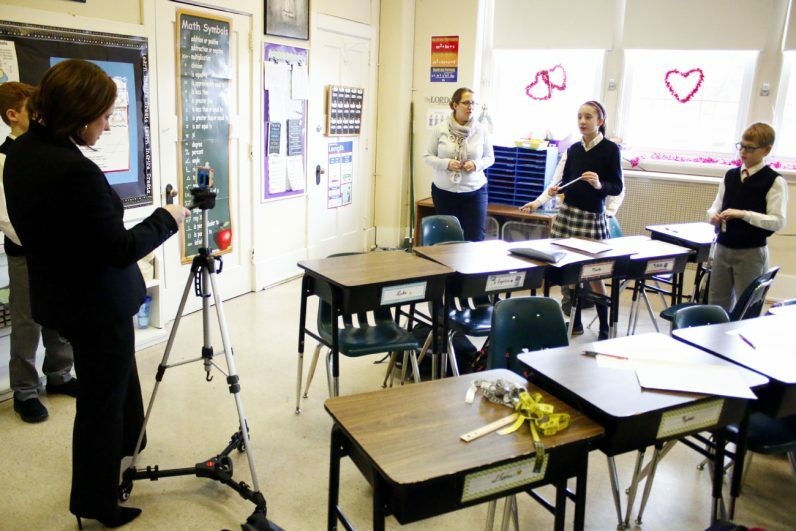 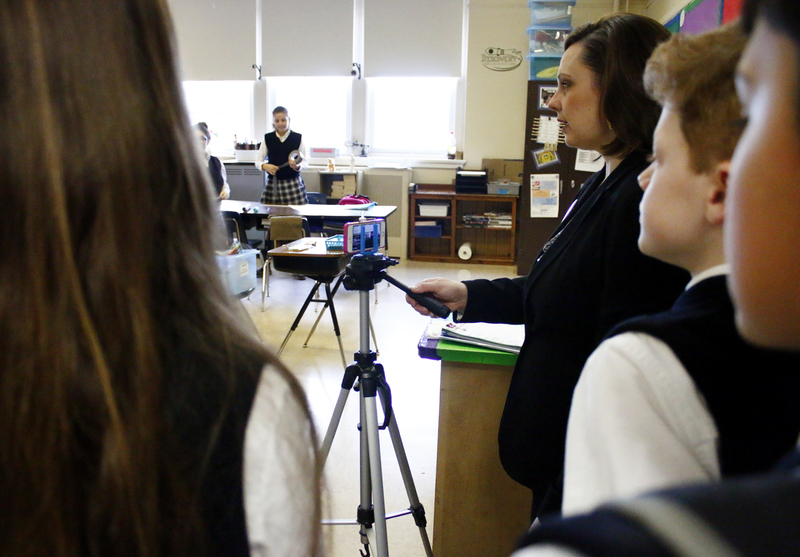 St. Aloysius School Principal Sarah Kerins broadcasts the Open House live on Facebook for people who could not come to the school. 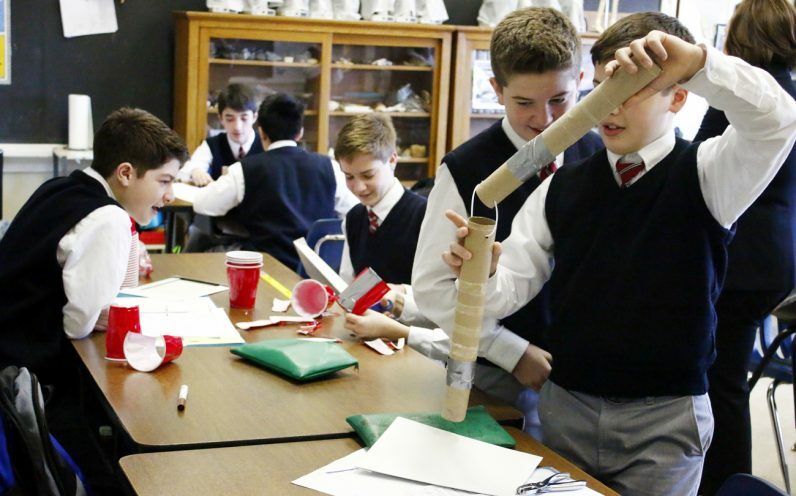 Seventh grade science students design and build models of assistive devices for people with special needs. 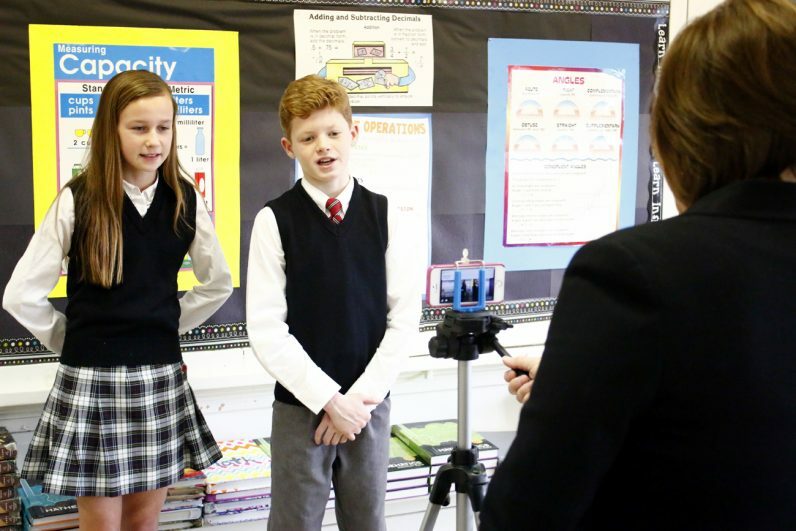 Students explain what they are studying in class during the Facebook Live video. 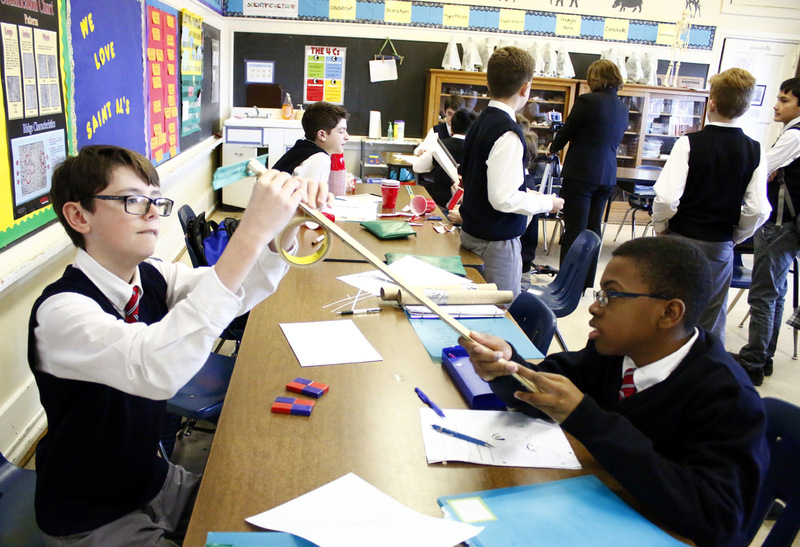 Sixth grade students design their own classrooms during math class. 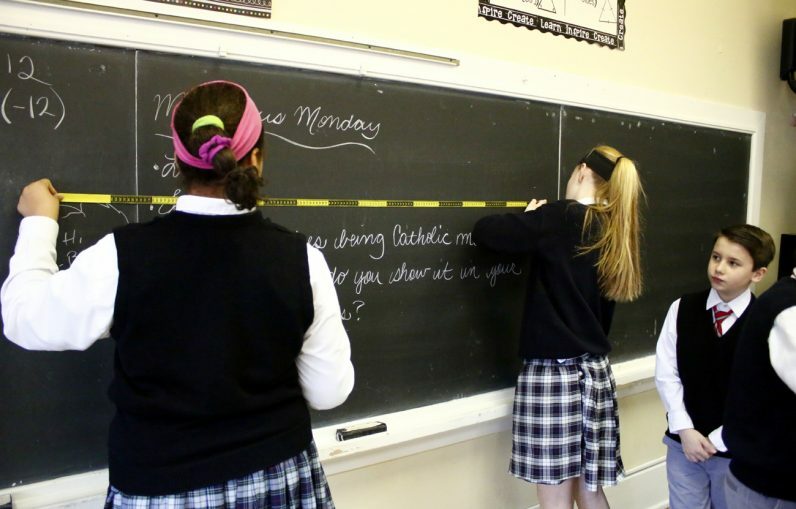 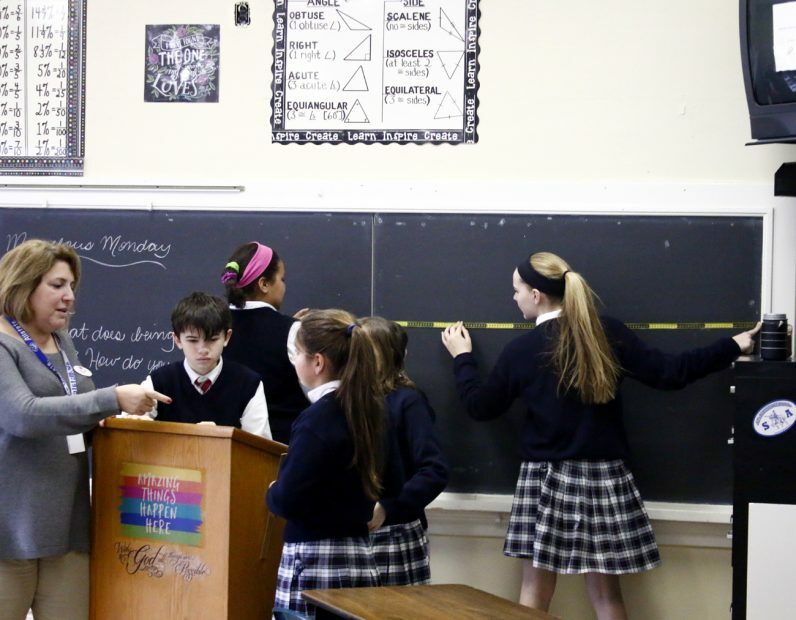 Sixth grade math students make measurements to design their own classroom. 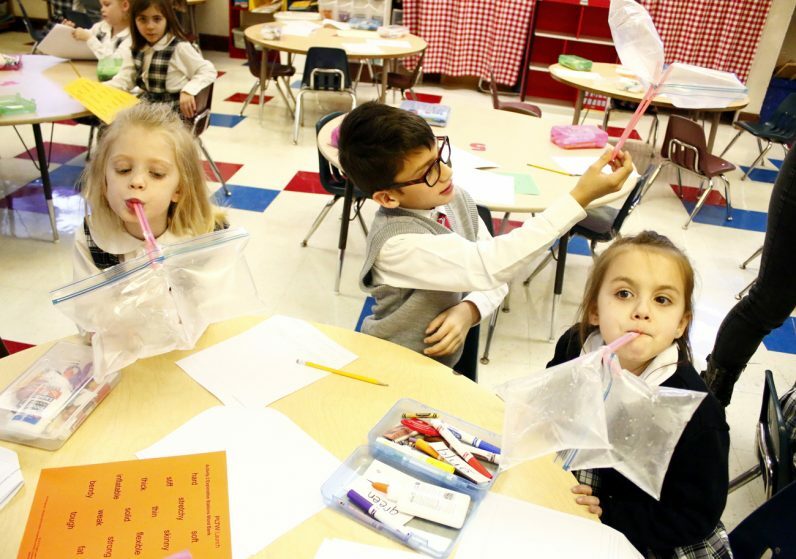 Kindergarden students learn about digestion by putting cotton balls into a tube leading to a balloon. 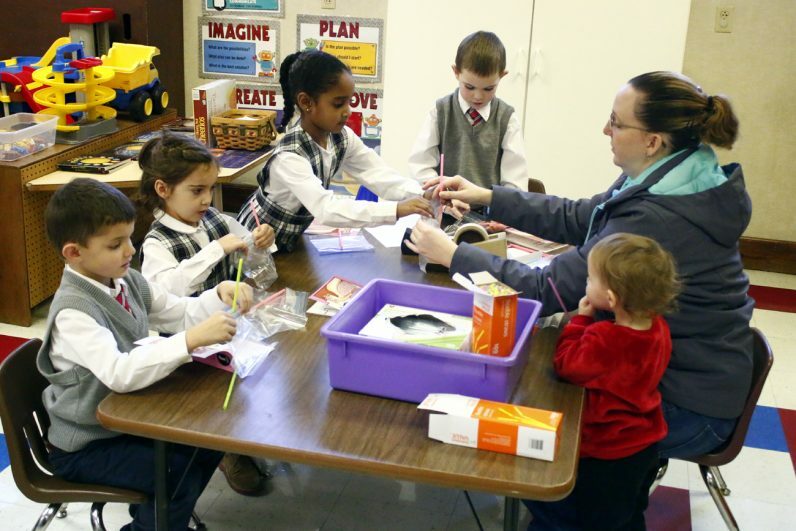 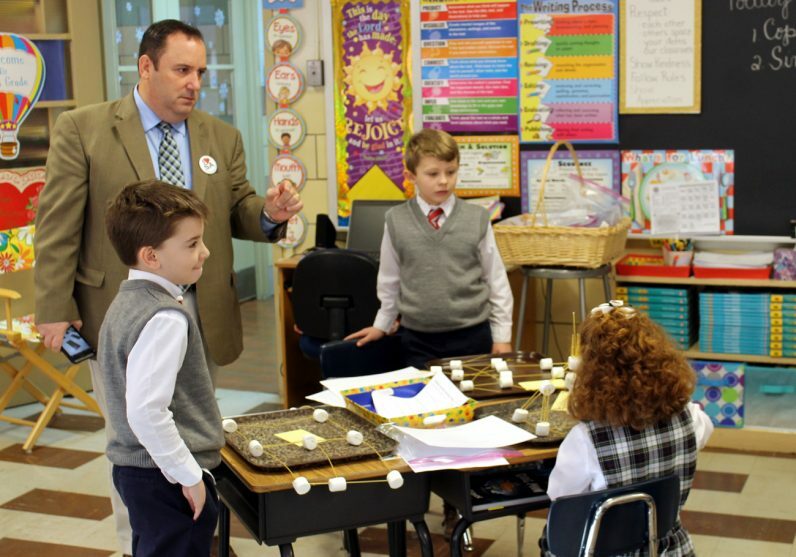 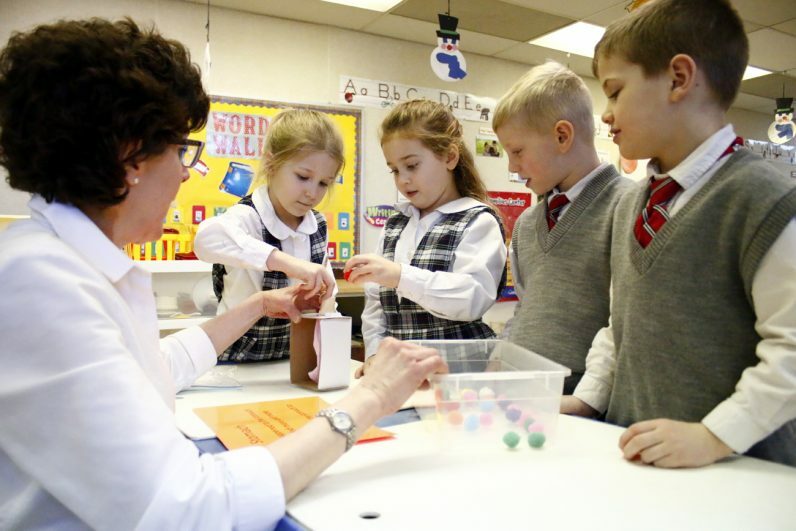 Kindergarten students build models of lungs with the help of a parent volunteer. 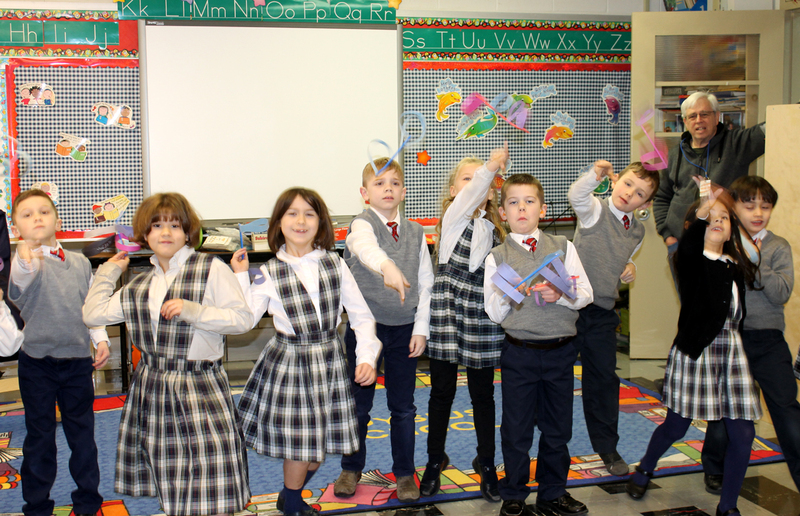 Kindergarten students show off the lung models they built, consisting of sealed plastic bags and straws. Students speak to virtual guests of the Open House during their Facebook Live presentation.